Home > Recipes + Food > Easy Dessert Ideas > 20 Scandalous Oreo Dessert Recipes That Are a Match Made in Cookie Heaven! Whatever you’re celebrating you can be sure that your guests will go crazy for any one of these Oreo dessert recipes. You just need to turn a blind eye to the calorie count! 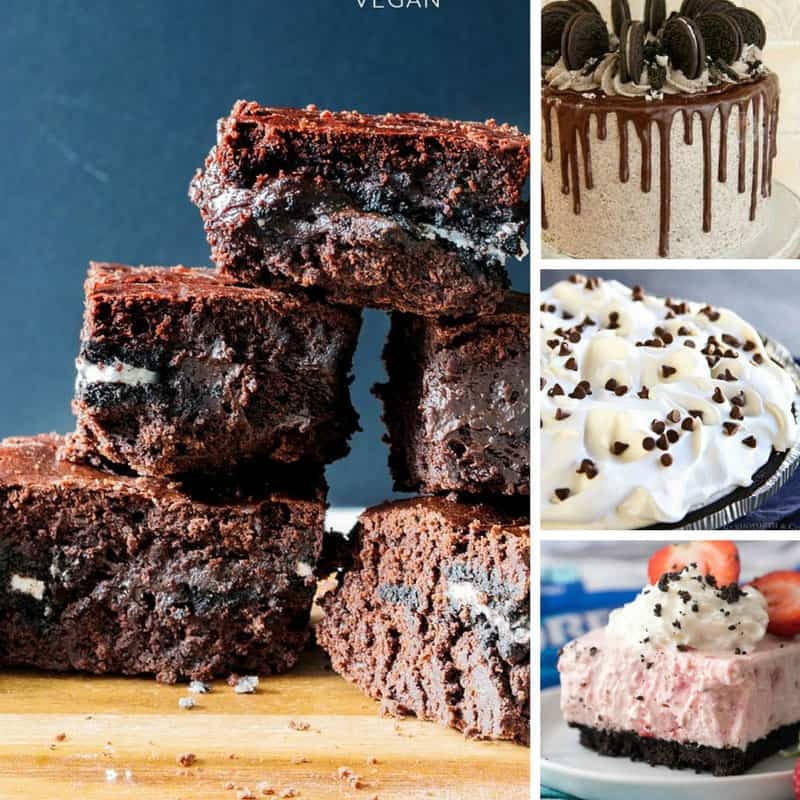 Whether you’re planning a party or you’ve been nominated to bring dessert to your next pot luck you really cannot go wrong with any of these Oreo dessert recipes. I found everything from Oreo Cannoli Cream Pie and Extreme Cookies ‘n Cream Oreo Cake to Oreo Strawberry Smoothie Cheesecake Bars and even a No Churn Oreo Ice Cream recipe! They’re all proof that the Oreo really is the best cookie on earth! As always be sure to scroll all the way to the end so you don’t miss any of the great recipes. And don’t forget to pin your favourites as you go! Previous PostPrevious 20 Edible Valentine’s Gifts that Could Put Cupid Out of a Job! Next PostNext 12 Surprisingly Easy Crock Pot Soups That’re Just What You Need on a Chilly Day!